As we have spoken about our walking jaunts at various church meetings or to individuals, the question often comes ‘Well, how do you go about planning these long walks?’. The answer is that it is all in the preparation. There is a lot to do before we even begin to walk, as the walking and speaking and keeping the website up to date takes a lot of energy, and there is simply not the mental space for working out the route or accommodation ‘on the hoof’ as it were. Key to the whole enterprise is the Internet. The reason for this is that we do not wish any longer to be carrying everything we need on our backs. We also do not have kindly people willing to give up weeks of their time to wait in car parks for us to arrive at some specified time. Our own car carries our main gear and we just take what we need for the day. We try to drive it to the previously planned end of the day’s walk and park it. Get public transport to the place where we ended the previous day’s walk and then walk to the car. Sometimes the bus/train times do not allow this so we have to drive to the start first and then get the bus/train back. This means we need to check out ‘Traveline’. This is a brilliant website which tells you what goes from where and at what time. The Internet also lets us book accommodation online and get in touch with any churches we need to contact. So preparation (and lots of it) has been going on here for the last couple of months ready for the next venture of Dover to Carlisle. Author NancyPosted on December 31, 2013 January 1, 2014 Categories Dover to Carlisle, Site Update1 Comment on Preparation! As Nancy mentioned, in her most recent blog post, their Priory900 pilgrimage walk will start very soon and they will be donating any money they are given to a Christian Aid project in Afghanistan. Click here, or on the Priory900 tab above, for more details of that project. John has a sub-plot for the walk from Land’s End to John o’Groats (LEJOG). As the walk proceeds, he is collecting stories from people along the route. These “Tales from End to End” will appear in John’s corner of this site. Click the “Tales” tab above to find out more. The first few tales will appear before they set off. You can read the first one already. 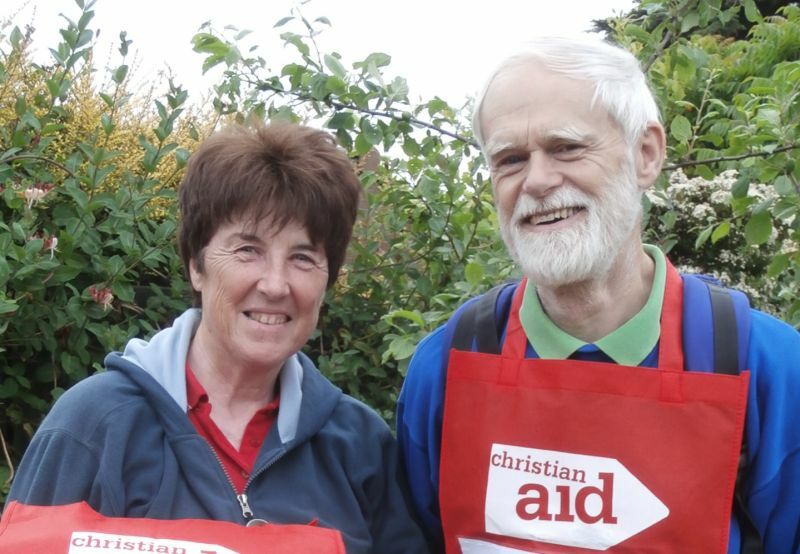 John and Nancy are planning to do a major sponsored walk for Christian Aid. It is the Land’s End to John o’Groats walk, or ‘LEJOG’, the ultimate challenge for long-distance walkers. Click LEJOG for more details. Check back here, once they have started, for posts about their progress and a ‘his and hers’ impression of the venture so far. ﻿﻿The site now includes sample images from each book (eg. Alphabetting book).